Try to Catch Me Now! 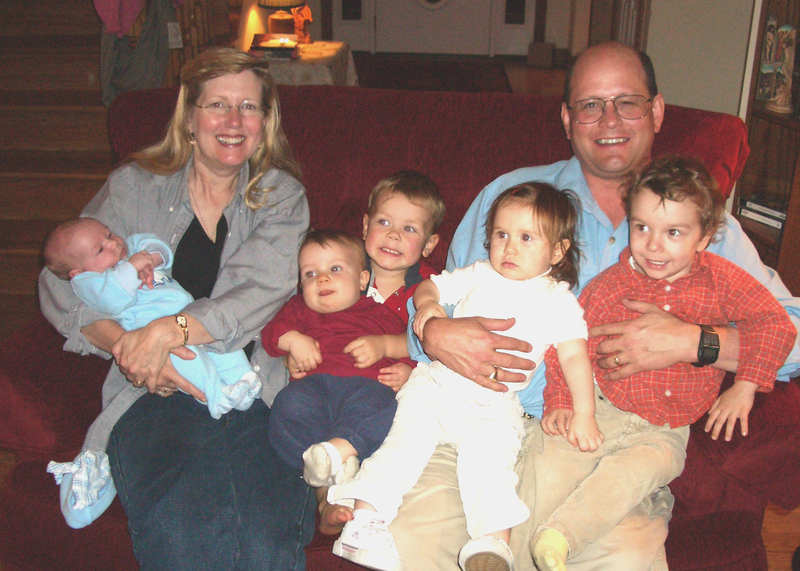 With these five grandkids on our lap, not many friends my age can even dream of catching up with me now. And, just this weekend, we received wonderful news! Our daughter Cindy is pregnant!! That makes grand-baby number SIX! Cindy and Ben had hoped to get pregnant again later this summer — giving Cindy some time to work on her dissertation — but this is close enough and everyone is delighted. Janet and I will need a few extra arms pretty soon! Previous post: Upcoming Pilgrimage FULL!